At the open Day in Terni, organized by the local utility ASM Terni, many SMEs and entrepreneurs came to Terni/Italy to get informed about the progress of the FINESCE trial site in Terni, about funding possibilities within the INCENSE project, the future of the FIWARE platform and upcoming projects in the energy sector. FINESCE is organising six Open Days at the trial sites across Europe to offer interested parties an insight into what has been accomplished in FINESCE in the last one and a half years. 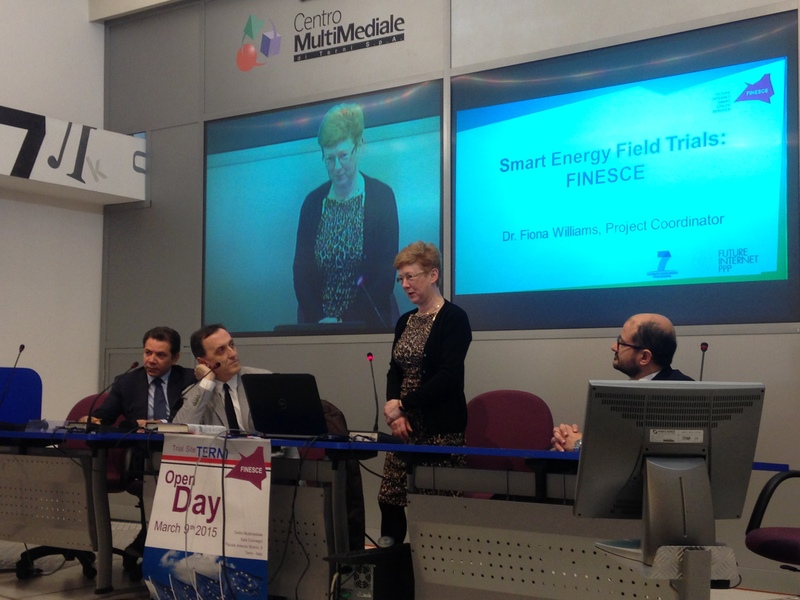 On the 9th of March 2015, ASM Terni, the host of the FINESCE trial site in Italy, invited local and European SME’s and accelerators to visit their trial site and get informed about FINESCE, FIWARE und upcoming Smart Grid projects. 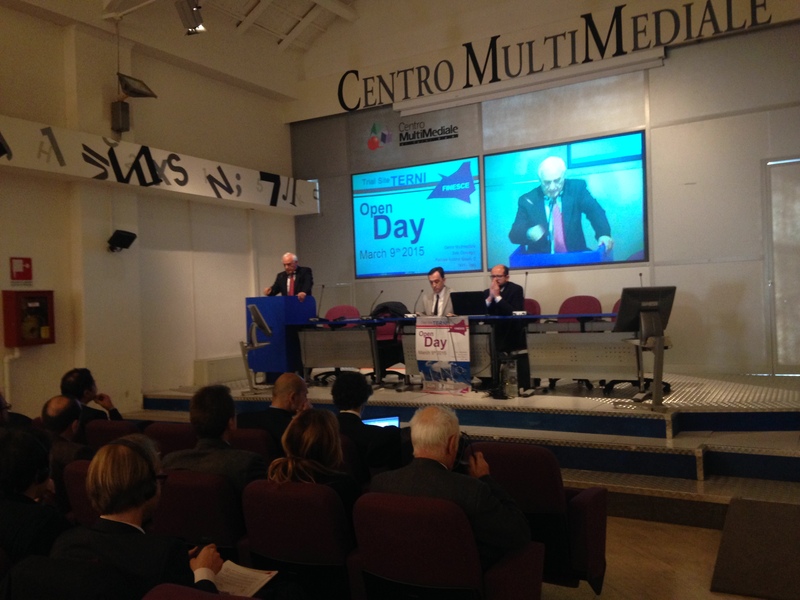 The Open Day started in the "Centro Multumediale di Terni” a former factory, which is now an event location. 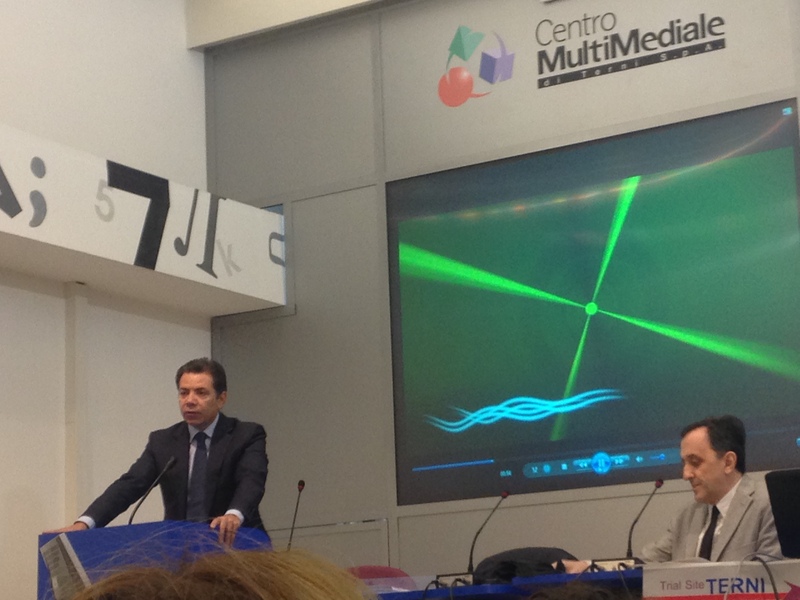 The welcome speech was held by Leopoldo di Girolama, the Mayor of Terni, followed by an introduction about Smart City projects in Terni by the president of ASM Terni S.p.A. Carlo Ottone. 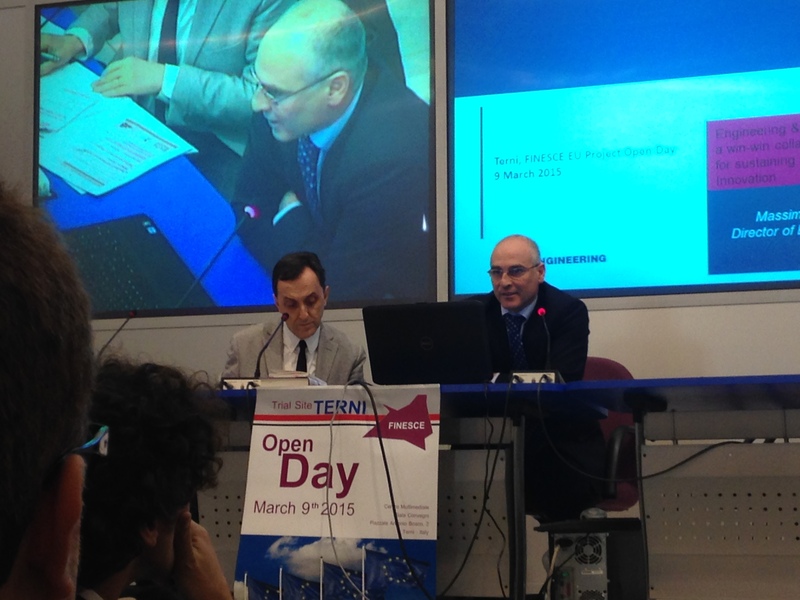 The presentation at the Open Day gave insights into the Field trials of FINESCE and its opportunities for utilities and IT-companies, about the next steps of Smart Grid development in Terni and about future Smart Grid projects by Engineering and ASM Terni. After lunch the FINESCE trial site in Terni and its marketplace were presented,followed, by a presentation about the funding possibilities in the FIWARE Accelerator Programme project for cleentech solutions – INCENSe. At the 99 seconds sessions the participants had the opportunity to present their companies or projects or to pitch ideas for new products and cooperation. 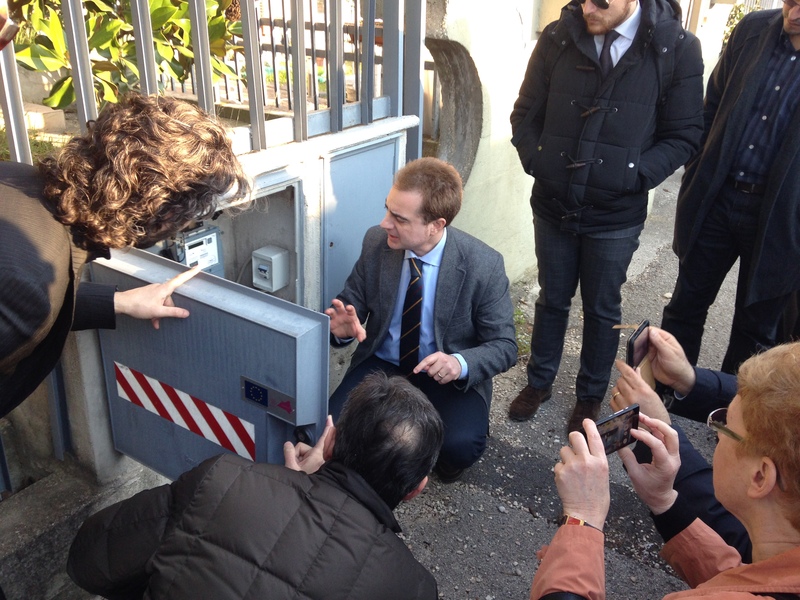 The event closed with a common guided tour through the FINESCE trial site in Terni. The next FINESCEOpen Day will be at our trial site in Hyllie on 24th April 2015. CENTRO MULTIMEDIALE DI TERNI S.P.A.
Massimo Cresta, Technical Director of ASM Terni S.p.A.
Massimo Bertoncini, European Project Director at Engineering Ingegneria Informatica S.p.A.
Stefano De Panfilis, Chief Innovation Officer at Engineering Ingegneria Informatica S.p.A.